VA LOAN ELIGIBLE! Immaculate, move-in ready, and sold Furnished. Prominent, picturesque resort views from this 4th floor unit make for an equitable investment with rental projections exceeding $35K per year. Kitchen boasts granite counter tops, breakfast bar, and maple cabinetry. Further features of this FULL 2 bed, 2 baths unit include a private balcony overlooking the pool area. 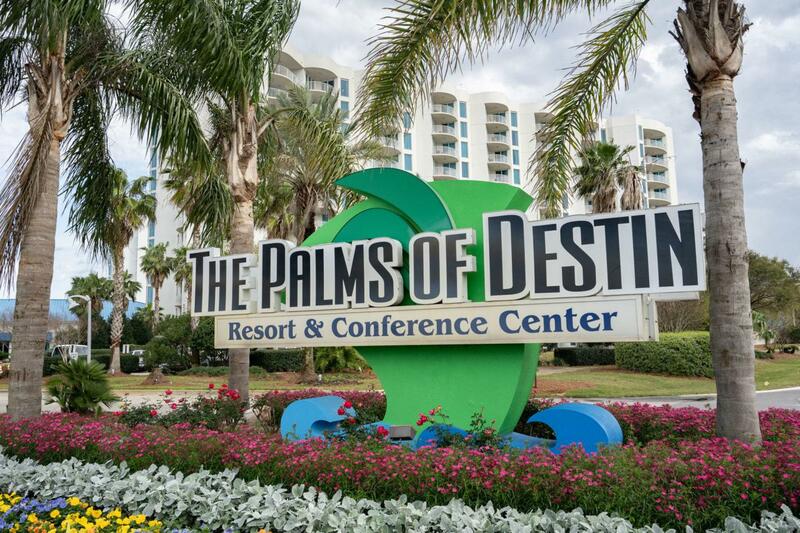 Amenities at the Palms include the largest lagoon pool in Destin with waterfalls, heated pool & jacuzzi, splash pad, lighted tennis and basketball court, and fitness center. Also on site is Guido O'Leary's Restaurant, Med Spa of Destin, conference centers, and social spaces. THE ASSOCIATION FEES INCLUDE ALL UTILITIES, INCLUDING ELECTRICITY, WATER, CABLE TV.INTERNET, AND LOCAL PHONE SERVICE and more.